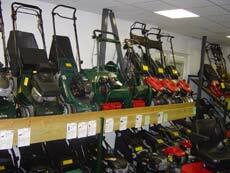 Our well stocked showroom area has on display a huge range of lawn mowers, garden tractors, chainsaws, hedge trimmers, blowers, strimmers, brushcutters, garden shredders and much more. If the machine you need is not in stock we can usually deliver it to your door within a few days. 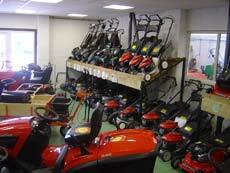 We stock the following brands; Alko, Billy Goat, Cub Cadet, DR, Echo, Hayter, Honda, Mountfield, Snapper, Stihl, Toro, Tracmaster (BCS), Westwood and still more. We also hold stocks of spare parts, hand tools, chainsaw chains and oils, Aspen fuel and many other associated products. We cover Uckfield and the local area including, Crowborough, Heathfield, Lewes, Haywards Heath, Hartfield, Ashdown Forest and surrounding villages. We welcome you to come and browse in our showroom and take us up on helpful advice. 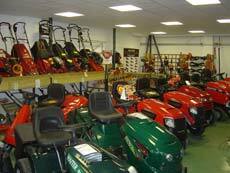 On larger purchases we will come and look at your garden to asses which machinery will best suit your needs. We want your experience with P P Estates to be a pleasurable one. If you are starting from scratch with a new property we can package machines together to offer you a more competitive price. We offer full after sales for all machines we sell, this includes servicing, repairs and spare parts.